Rene Boucher took the witness stand on Tuesday in the civil trial stemming from an assault on U.S. Senator Rand Paul. 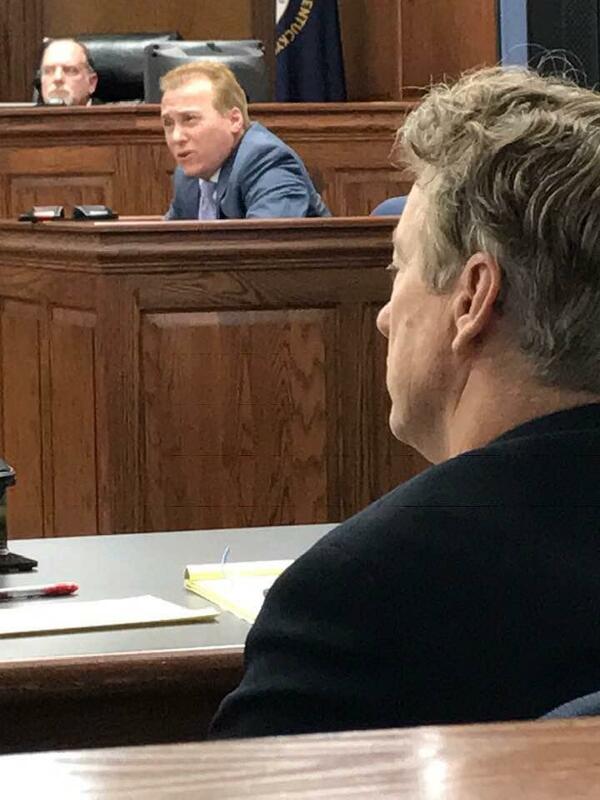 U.S. Sen. Rand Paul of Bowling Green plans to undergo hernia surgery at a private hospital in Canada because of injuries he suffered when a neighbor tackled him while he was doing yard work at his Kentucky home. U.S. Senator Rand Paul said he’s open to the idea of a compromise over President Trump’s demand for more than $5 billion for his promised wall along the Mexican border. “I keep thinking maybe splitting the difference might work, that the Democrats’ position is no money at all for the wall. Trump’s position is $5 billion. Really, there probably is some kind of splitting the difference,” the Bowling Green Republican said Wednesday afternoon. However, the New York Times reports the President Wednesday rejected the idea of a $2.5 billion dollar compromise on new border security funding. U.S. Senator Rand Paul of Kentucky is hopeful that debate over border security will not lead to a partial government shutdown later this week. President Trump said last week he would be "proud to shut down the government" if Congress doesn’t approve the $5 billion in funding that he wants to build a wall on the border with Mexico. In a wide-ranging interview at his field office in Bowling green on Friday, Senator Paul said while he’s in favor of enhanced border security, he’s not in favor of giving the president a blank check. Seeking to stir support for a federal criminal justice bill, Sen. Rand Paul on Monday called on voters in the hometown of Senate Majority Leader Mitch McConnell to prod him to hold a vote on the measure. Paul said during an appearance at the Louisville Urban League that the measure would pass overwhelmingly if it received a Senate vote during Congress' lame-duck session. But McConnell has refused to bring the legislation forward in a standoff that's dividing the Republican majority. The wife of Republican U.S. 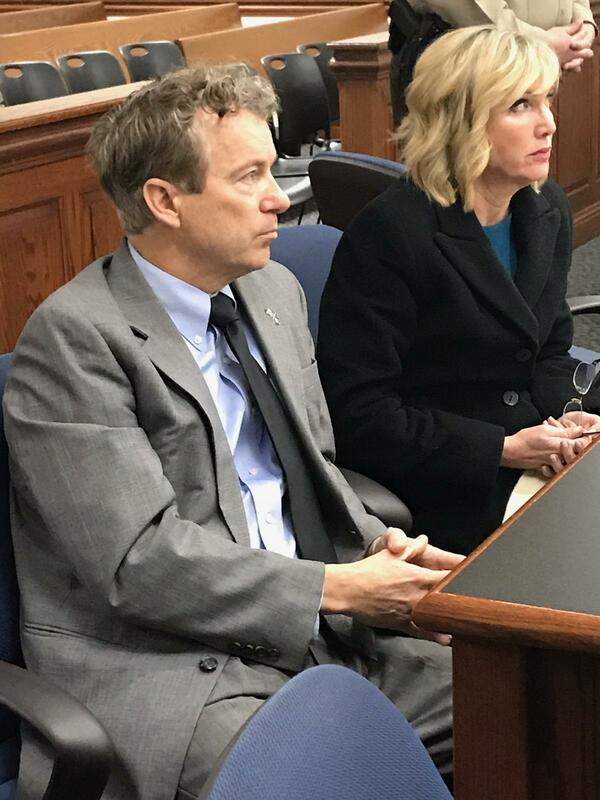 Senator Rand Paul says her family has endured violence and threats at a “horrifying level” over the last 18 months. Kelley Paul is blaming some of the acts on comments from one of her husband’s Senate colleagues. In an op-ed for CNN, Mrs. Paul asks Senator Cory Booker to retract comments he made urging activists to “get up in the face of some congresspeople." U.S. Senator Rand Paul has filed a civil lawsuit against his neighbor who was sentenced this month for assaulting the Republican lawmaker. A civil complaint filed in Warren Circuit Court says Paul is seeking an unspecified amount of compensatory and punitive damages from Rene Boucher for "physical pain and mental suffering." Boucher admitted to attacking Senator Paul outside his Bowling Green home on November 3. Paul suffered several broken ribs and contracted pneumonia as a result of his injuries.